Swedish disciples of pre-World War II blues Erik Jacobs, Erik Nilsson, and Pontus Ohlsson, hauled a bunch of gear up to a remote cabin and got down to business. The result is an album so full of genuine love for the genre, it’s impossible to dismiss. Sure, the band consists of three young Swedish guys pretending to sound like oppressed African Americans from the early 20th Century, but you have to admire their moxie. The album contains well-appropriated influences that range from Robert Johnson to R.L. Burnside. 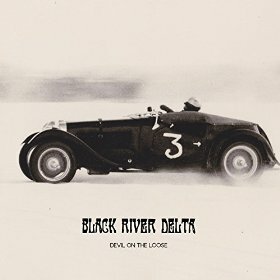 Add some hipster-approved fuzz to a pair of oddball hollowbody guitars, a little too much reverb on the vocals, and you get the kind of retro environment well traveled by Jack White, the North Mississippi Allstars, Black Keys, and Led Zeppelin. One-chord stomps like “Follow You Down” resembles Bob Dylan singing a field holler. “A Buried Man” with its tasty melodic blues counterpoint morphs into full on epic garage-rock on “Wind Collides.” Minus a bass player, songs like “Darkest Hour” and “Ghost” provide tight musicianship, eerie atmosphere, and enthralling band chemistry. It’s good stuff.